Gary J. DeLorenzo spent more than 30 years in industry as a programmer, analyst, consultant and manager before entering academia at California University of Pennsylvania. In his academic career, Gary has gained a reputation as someone who brings people together and gets them excited while sharing his industrial experience with students. In addition to teaching capstone courses in the Computer Information Systems program, he has served as the Chair of the Business and Economics Department and Director of the Leadership Studies Program. His service learning contributions include providing data base consulting and application support services for the H. J. Heinz History Museum in Pittsburgh, PA. He has presented and published his research both nationally and internationally, was the recipient of the 2008 IACIS's Ben Bauman Award of Excellence, and was awarded Fellow and Distinguished Scholar, International Institute for Applied Knowledge Management in 2014. Gary serves as President to the IACIS Executive Board. Maria Elena Corbeil is an Associate Professor of Educational Technology at The University of Texas at Brownsville. She has experience designing, developing, and teaching fully online undergraduate and graduate courses in educational technology and corporate training. She is also the program coordinator for two fully online undergraduate educational technology specializations. Maria Elena has focused on maintaining teaching excellence and program quality through the mentoring and training of online full time and adjunct faculty. She currently serves as a member of the editorial review board for The Journal of Computer Information Systems (JCIS), and an annual reviewer for the IACIS Issues in Information Systems (IIS). She has also served as secretary and other leadership positions on numerous boards throughout her career. 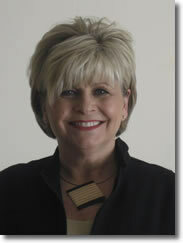 In 2011, she was honored with the IACIS Ben Bauman Teaching Excellence Award. Maria serves as Vice President to the IACIS Executive Board. Joanna Paliszkiewicz holds the rank of University Professor at Warsaw University of Life Sciences and Polish Japanese Academy of Information Technology. She is also a visiting professor at the University of Vaasa in Finland. 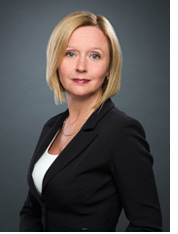 Joanna Paliszkiewicz is well recognized in Poland and abroad for her expertise in management issues. She has published over 150 papers and 4 books. She is the deputy editor-in-chief of Management and Production Engineering Review Journal. Joanna was named the 2013 Computer Educator of the Year by IACIS and serves as the Secretary to the IACIS Executive Board. 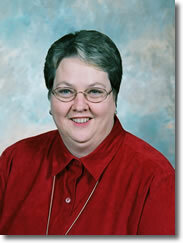 Susan Haugen Behling is Professor Emerita of Finance and Accounting at the University of Wisconsin - Eau Claire. She has authored numerous journal articles and professional proceedings in the areas of accounting information education and teaching online via the Internet. She has been active in the Accounting honorary society Beta Alpha Psi, serving as Chapter Advisor and on the national Board of Directors. She was on the Board of Directors of Royal Credit Union in Eau Claire, which has assets of $750 million, and is also on the Board of Directors for MBAA International. Dr. Haugen Behling has served as Secretary, Vice President, and twice as President of IACIS, and currently serves as Treasurer and Director of Conference Arrangements on the IACIS Executive Board. Robert Behling is retired Professor of Computer Information Systems and Chair of CIS at Bryant College in Smithfield, Rhode Island. He is an active researcher and has published numerous articles and professional proceedings in areas including MIS, managing technology, systems analysis and design, project management, and curriculum development. He served on the original DPMA Model Curriculum Committee and has been a Visiting Professor at the University of Wollongong, Australia. He has served as Vice President and President of IACIS. Robert serves as Executive Director to the IACIS Executive Board. Throughout his academic career, Alex has assembled a remarkable record of accomplishment. Alex has published and presented numerous papers. His scholarly activities also include serving on the editorial review board of several IS publications. Alex is active in IS/IT curriculum design and has recently helped design a world-class IT program for MGA's School of Information Technology, leading it to ABET accreditation. 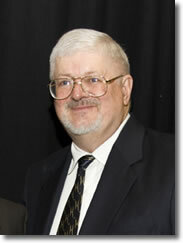 He is the Peyton Anderson Endowed Chair in Information Technoloyand was named the 2009 Computer Educator of the Year by IACIS. Alex is the editor-in-chief of the Journal of computer Information Systems and serves as Technology & Operation Director to the IACIS Executive Board. 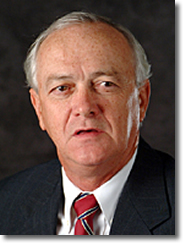 G. Daryl Nord is Professor of Management at Oklahoma State University. 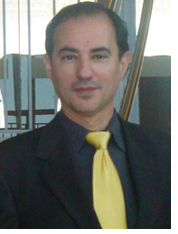 He is an active researcher and has published numerous articles and professional proceedings in areas including artificial intelligence/expert systems, systems analysis and design, the Internet, electronic commerce and others. He has served on national and international committees for professional organizations including Decision Sciences Institute, the Natural and Artificial Intelligence Systems Organization. Daryl serves as Managing Director to the IACIS Executive Board and Executive Editor of The Journal of Computer Information Systems. Jeretta Horn Nord is Professor of Management Information Systems at Oklahoma State University. She has recently served as Visiting Scholar at the University of California at Los Angeles and as a Visiting Professor at the University of Southern Queensland in Toowoomba, Australia; she has also been named Computer Educator of the Year by IACIS. She has authored numerous articles, proceedings and conference papers in the areas of e-business and corporate knowledge requirements. Jeretta serves as Director of Publications to the IACIS Executive Board and Executive Editor of The Journal of Computer Information Systems.